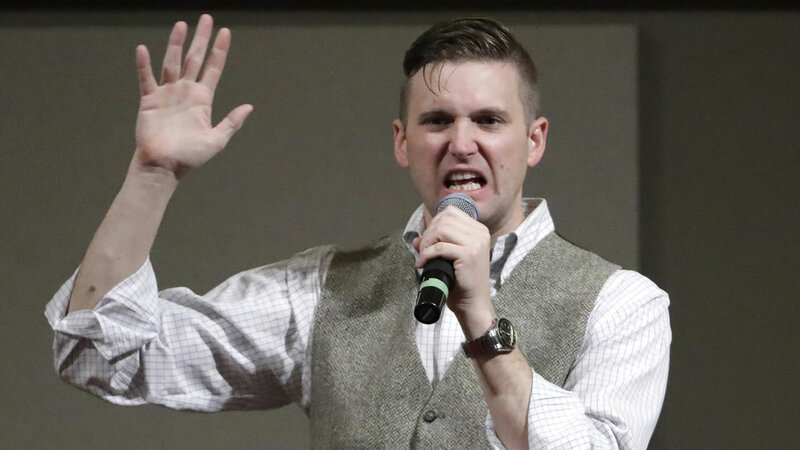 EAST LANSING, Michigan (WTVD) -- A federal judge will decide whether to force Michigan State University to allow campus space to be rented for a speech by white nationalist Richard Spencer later this month. An 11-page lawsuit filed Sunday night in U.S. District Court in western Michigan contends that the East Lansing school's refusal to rent a conference room or lecture hall to a Spencer supporter on security grounds violates free speech and other constitutional rights. The legal action against the 50,000-student university was taken on behalf of Georgia State University student Cameron Padgett, the one who tried to rent the space for Spencer. It asks for a preliminary injunction forcing MSU to reverse its decision, as well as $75,000 in damages. Michigan State said in an Aug. 17 statement that it denied a request for space out of "significant concerns about public safety." It also cited violence at a white nationalist rally in Charlottesville, Virginia, days earlier. A woman was killed after a car drove into counter-protesters. A brief statement from MSU spokesman Kent Cassella emailed to The Associated Press Monday says the school was aware of the lawsuit but doesn't address how it might respond. "While we remain firm in our commitment to freedom of expression, our first obligation is to the safety and security of our students and our community," the statement reads. But the new lawsuit argues that Spencer doesn't advocate violence and that MSU's decision is based on the chance of violence by staunch Spencer opponents. That line of reasoning, the suit says, amounts to "a heckler's veto" of free-speech rights. Federal courts were closed Monday for Labor Day. A date for an initial hearing could be set soon, and a judge would likely give both sides at least several days submit arguments for or against a preliminary injunction. Spencer popularized the term "alt-right" to refer to a fringe movement that's a mix of white nationalist, white supremacist, anti-Semitic and anti-immigration beliefs. He said in a text message Sunday to the AP that "Padgett is a brave young man who has my full support." Padgett filed a similar challenge after Auburn University tried to ban Spencer's appearance there in April. A federal judge ruled against Auburn, and the talk was held as planned. Hundreds of people attended the event and three people were arrested outside the building during clashes. Other schools have responded similarly to Michigan State. Just last week, UNC Chancellor Carol Folt said she has declined to rent space on UNC Chapel Hill's campus to let Spencer speak. The University of Florida also recently denied a request for Spencer to speak there, as Texas A&M University had done.